Standing at the scramble crosswalk outside Shibuya station, it's easy to feel at the center of the earth, as thousands of people pass you by in seconds. But once you've crossed the road, what happens next? Don't wander away, because there is one place where you can marvel at the crowds literally from above. 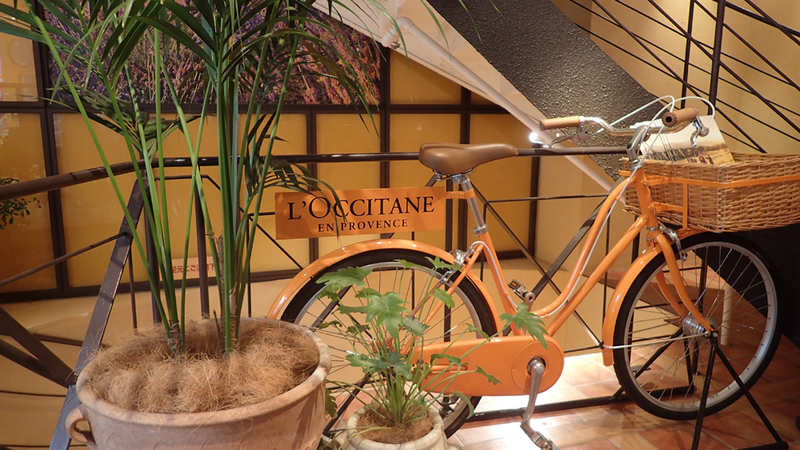 If you're looking to people-watch over high-quality French dessert and tea, check out L'Occitane Cafe. The L’Occitane brand makes most people think of lotions and facial serums made out of natural, delicious-smelling ingredients like lavender, almond and shea butter. But if you thought this was only a place for hand cream and soap, think again, because L’Occitane is becoming known for more savory smells too. The shop itself is on the first floor, while the cafe occupies the second and third floors. A big feature is its location, and if you find yourself at a table near the large windows, you can look out and watch the world go by. The pretty interior makes for a sophisticated and relaxing atmosphere—a warm, orangey wood color with tile floors, plant pots along the windows and a selection of photos on the walls. Thanks to two floors full of tables, groups can be easily seated as well. 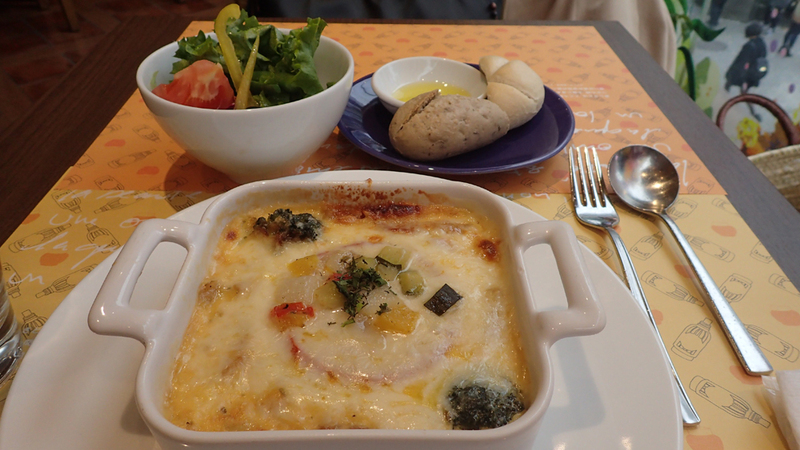 Menu selections range from Provence croque monsieur (¥1,130) to niçoise salad (¥1,250). 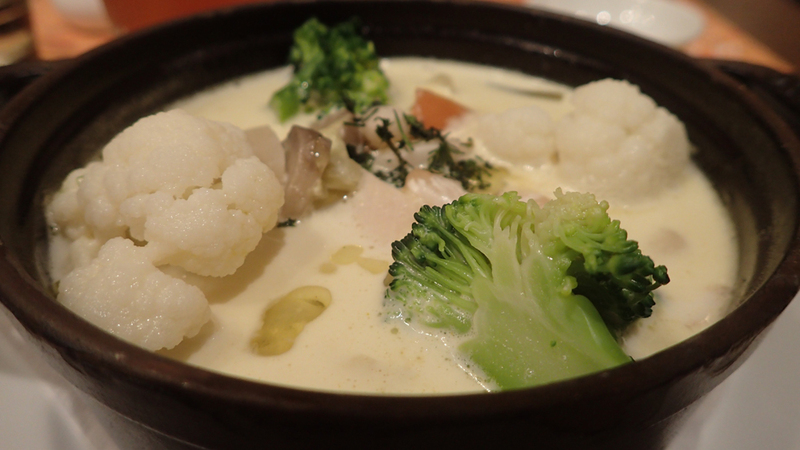 The L’Occitane touch is also clearly seen in items like the creamy chicken and winter vegetable soup for ¥1,340. It’s light and comforting with a hint of cream and olive oil, packed with cauliflower, broccoli, carrots, onions and potato, and lightly dusted with herbs. More hungry customers will appreciate the lunch sets. 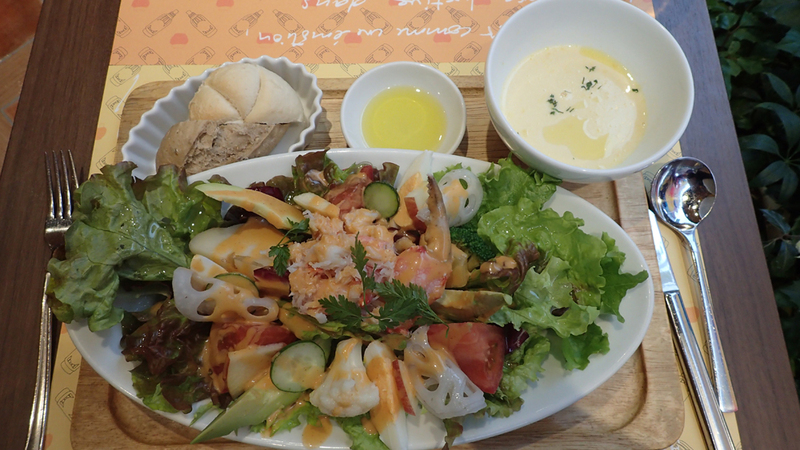 Choose one main dish (quiche, croque monsieur, salad, soup or sandwiches) and you’ll get a small bowl of soup or a side salad, tea or coffee, and unlimited supplies of bread for a bit under ¥2,000. If you’re really hungry or feel like treating yourself, you can add on a small dessert for an extra ¥400. The desserts at L’Occitane are a big draw for many. Selections include the famous crème brûlée (¥820) and a soft cheese dish called cremet d’anjou (¥820), which tastes more savory than sweet but comes with a selection of fruit and sauce to create a nice balance of flavors. Gently tapping the caramelized sugar crust on the surface of the crème brûlée with your spoon is a delight, from the sound of the cracking to the textural contrast between the sugar shell and luscious custard underneath (think Audrey Tatou in the film Amélie). Raspberries and mint leaves add a pretty touch to the L’Occitane version. What captivated me the most about this light cream dessert was the strong distinct taste of vanilla that goes beautifully with the caramelized surface. There is also a good range of teas, coffees and blended drinks on offer. True to the store’s philosophy of natural beauty, the teas are mainly herbal and the desserts tend to be accompanied by fruit. The French-ness may seem on the expensive side, but it’s good value for those who are after some restorative and beautifying time. 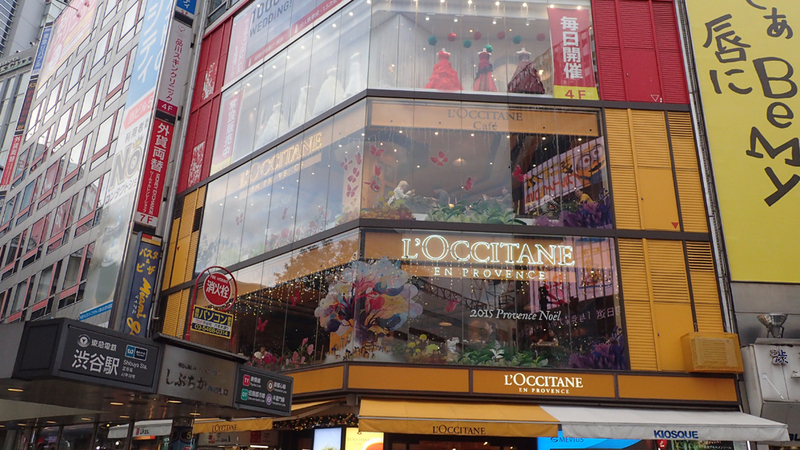 If you’re in Shibuya and feel like seeing more of the crowds or just want a break, head to the Hachiko crossing and visit L’Occitane cafe. Crème brûlée, I’ll be seeing you in a few days!